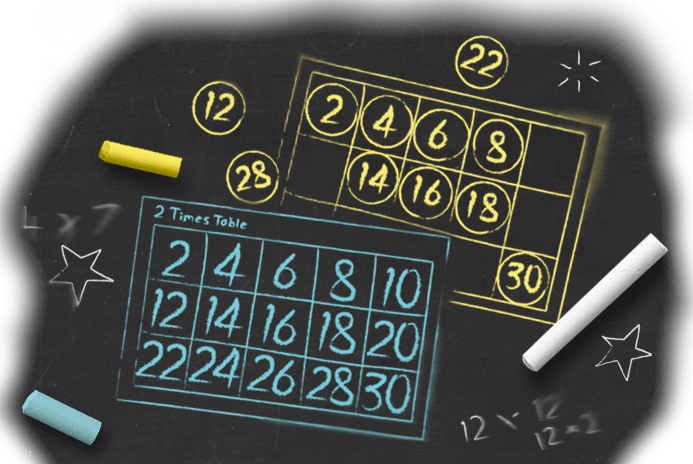 Learning times tables and division can be a challenge. This practical teaching tool is ideal for anyone who struggles with maths and can be used in schools, or any place of learning. 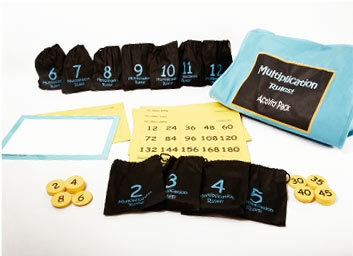 The activity pack can be used at home and in school, and is particularly valuable for those working with children who find numbers hard to grasp. Suitable for children in Primary or Secondary schools (it may be useful for older kids and grown ups too). Discount available for multiple packs, please contact us to find out more. Here on the website, pop over to the Shop. What are the benefits of the activity pack? It's hands-on learning; children respond well to moving the plastic counters around the grids. It stimulates and encourages recognition and use of number patterns. What's more, it actually makes learning (and teaching) fun! The magnetic boards are 2mm thick and non-magnetic 1.5mm. "Penny's work and strategies with learners who are currently unengaged in maths is marvellous. She provides a personalised approach for the learner that quickly engages them in maths and secures strong learning outcomes for them."